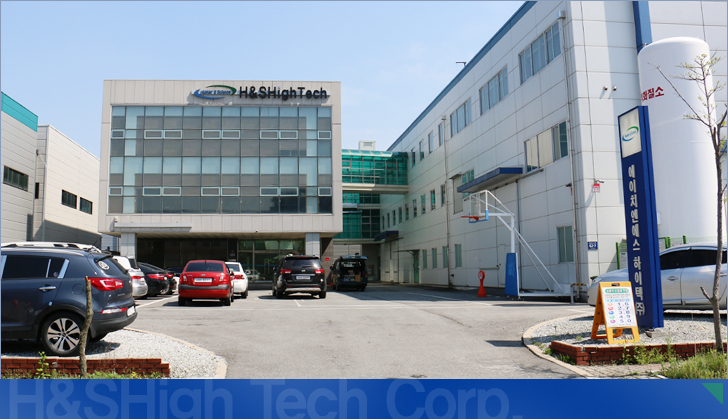 H&SHighTech Corp. is a venture corporation that develops, manufactures, and markets telecommunication component products with his own design capability and innovative Smart Substrate Technology. The value of H&SHighTech products is his break-through, patented manufacturing technology for Smart Silicon Substrates, which creates demonstrable customer-oriented benefits in term of cost, function, and product reliability. Meantime, for diversified product lines in semiconductor component industry, H&SHighTech developed an innovative ACF(Anistrophic Conductive Film: Advanced Electronic Package Material) showing significant improvement of T/C (Thermal Cycle) reliability of “Flip Chip on Organic Substrates” with lower CTE and higher modulus of NCF layer.